Outfitter Bud Williams offers quality hunts in Southeastern Montana. Our hunts are conducted on private land in some of Montana's finest deer and antelope areas in Powder River County. 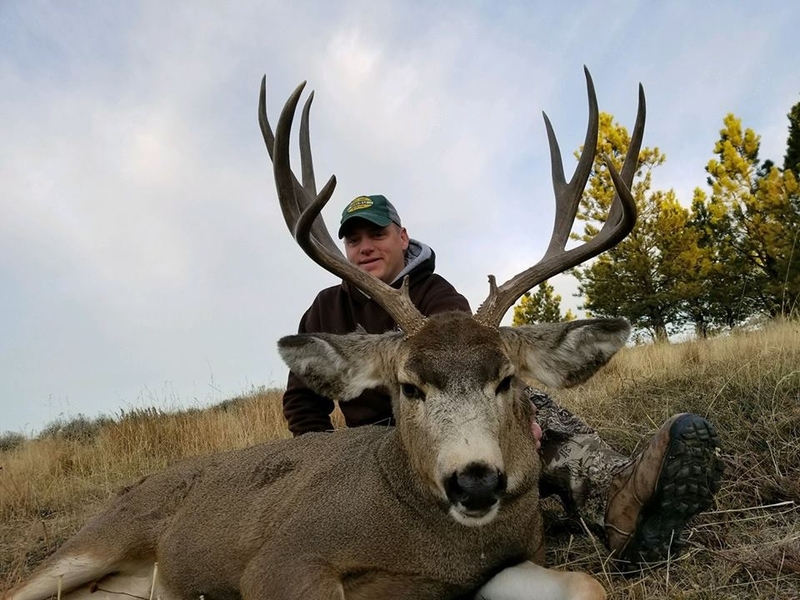 Our Eastern Montana hunts include Rifle, Archery, and Muzzleloader for Antelope, Whitetail, and Mule Deer. To learn more about Big Sky Outfitters located in Powder River County and our services, use the links above. A lifetime of memories at Big Sky Outfitters! We provide fully guided hunts for mule deer, antelope and whitetail. Our guided hunts include lodging, meals, and transportation during your hunt at our working ranch. To ensure quality animals for future hunts, we strive to harvest only mature animals. Hunts are two hunters per guide unless other arrangements are made at the time of booking.